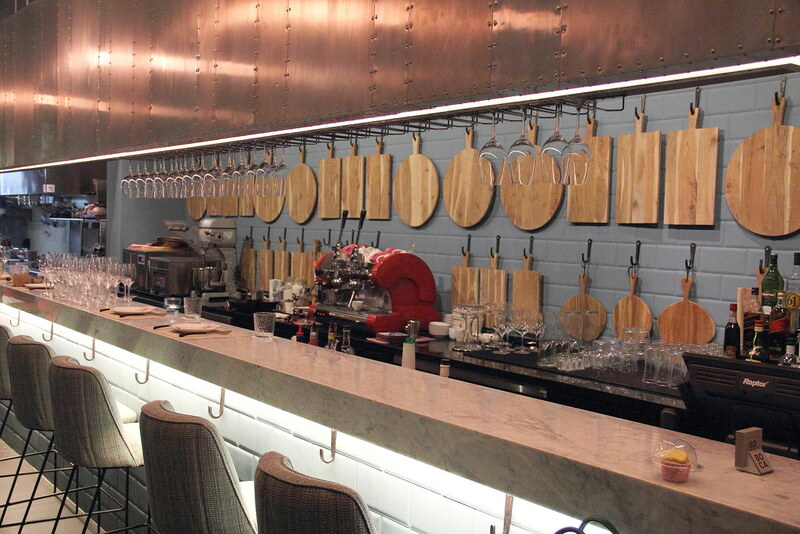 Occupying the space of defunct Oca Grassa, is a new Portuguese Restaurant BOCA set up by a group of Portuguese friends working and living in Singapore. 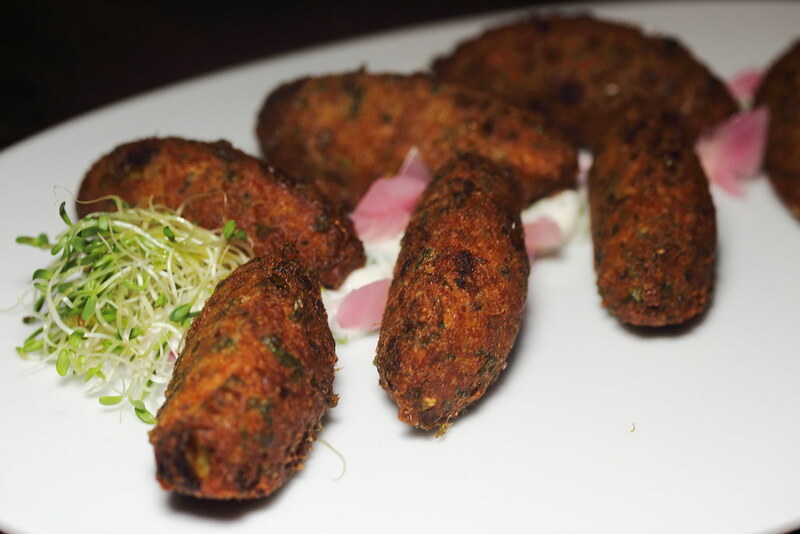 Opened its door in January 2015, the restaurant aims to bring the genuine taste of home to the table which took them a good 2 year to conceptualized. 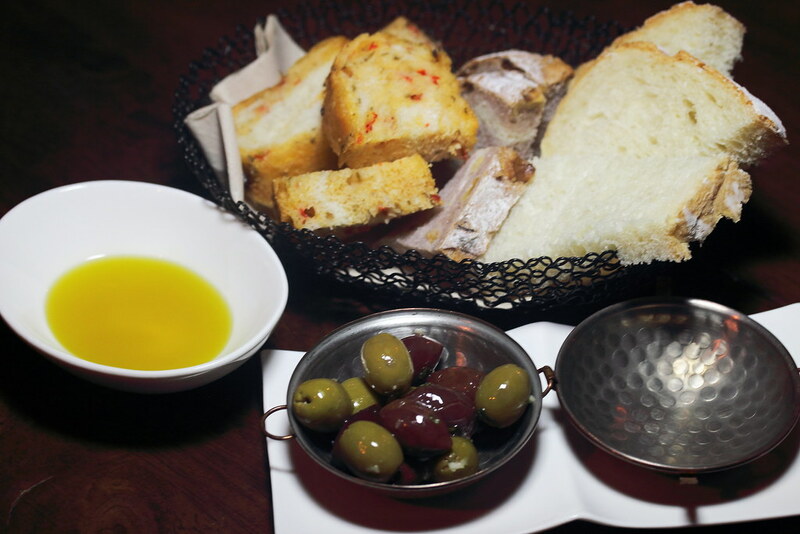 Starting the dinner is a basket of warm house made bread served with olives and extra virgin olive oil imported from Portugal. A feast to the eyes is the Flamed Chorizo ($36) which is flambeed tableside. 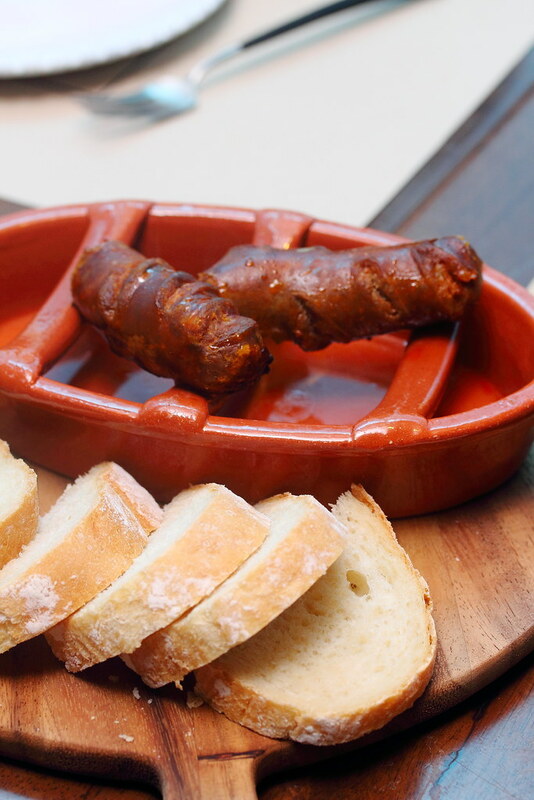 The plump sausage made with pork, wine, garlic, salt and paprika is imported all the way from Portugal. I find the chorizo a bit on the tough side. A staple in Portugal is the bacalhau (dried and salted cod). The ingredient is dated back to the 15th century in which Portuguese fishermen would sail north to fish for cod. They would butterfly, dry and salt the cod to preserve the meat on the long journey back. The Cod Fritters ($15) which I had is made of this treasured ingredient together with potatoes and parsley served with a piquant pickled mayonnaise on the side. 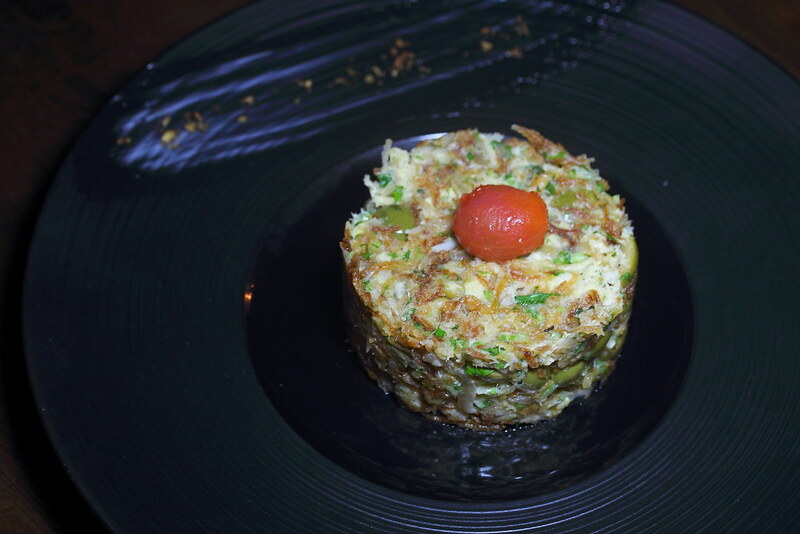 This is a delightful starter with its crispy exterior and flavourful innard. Octopus if not cooked probably would turned out rubbery. Lucky this is not the case at BOCA with the Octopus Salad ($24). The octopus is blanched quickly several times to achieve the tender texture. It is then thinly sliced and dressed with crunchy capsicums, crispy garlic, red onions, cilantro, vinegar, extra virgin olive oil and smoky paprika to complete the orchestra of flavours singing in one tune. 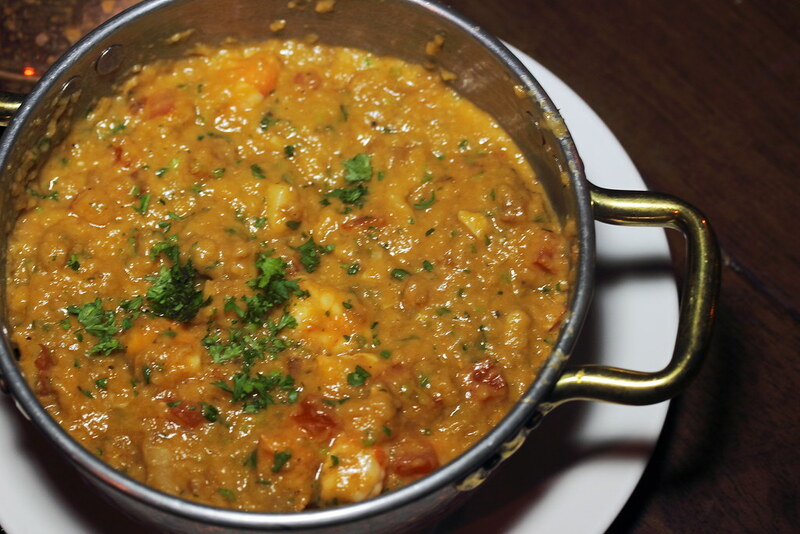 The Braz Codfish ($28) is another dish on the menu that features the bacalhau. The cod is mixed with crispy deep fried shredded potatoes, caramelised onions and a beaten egg. Each spoonful bite of the mixture is layers of flavours and textures. 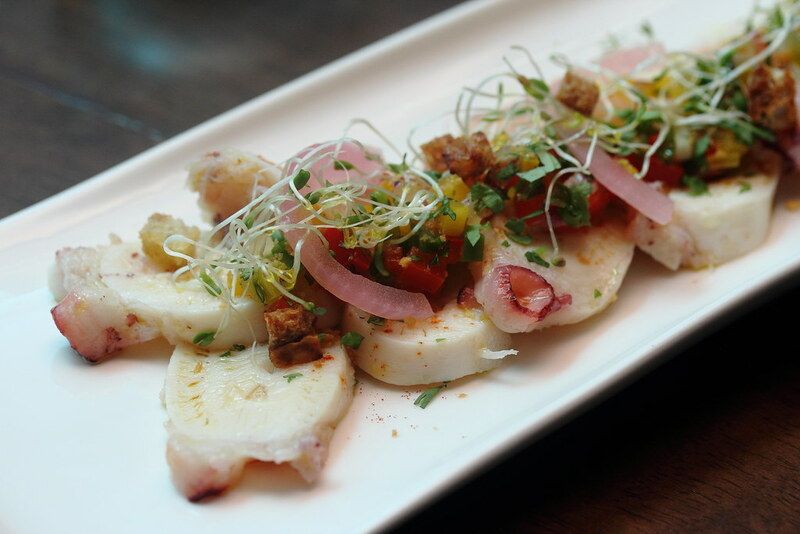 A total new and enjoyable experience of authentic Portuguese cuisine. The scent of coffee aroma filled the room when the Coffee Steak ($48) is served. This is one steak that you can really taste the sweet bitterness of the coffee. 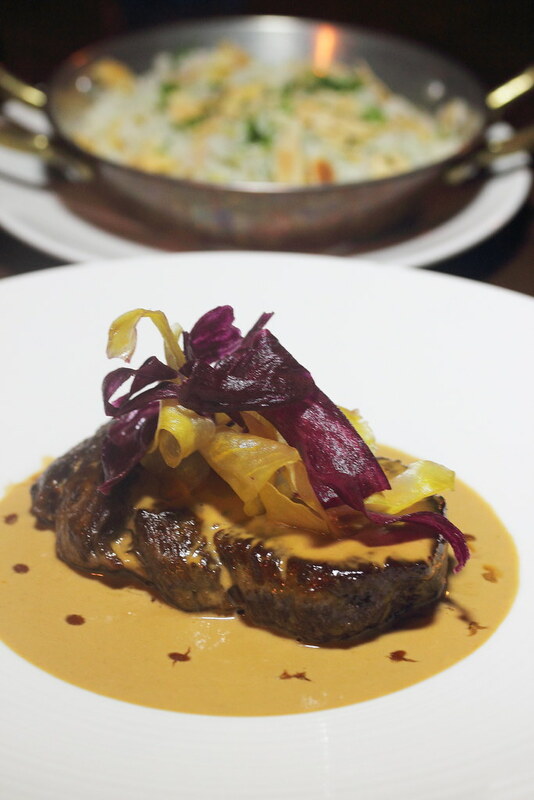 The 220g Australian tenderloin is dressed in a espresso mustard sauce, cream and a dash of cognac. The steak is generously paired with a delicious rice that has been cooked with almonds, garlic, onions, herbs and butter. The real deal at BOCA has to be the Shrimp Porridge ($28) that is mind blowing. The so called porridge has no rice at all. It is actually made using aged homemade bread, immersing it in bacahau or shrimp stock to obtain the rich intense flavour. After that, it is simmered and stirred over a low flame until the bread turned into a porridge consistency. An egg yolk is added to give the dish a velvety finishing. Ending the delightful meal is the Cognac Chocolate Mousse ($13) and Floating Island ($15) for dessert. The Cognac Chocolate Mousse is made of valrhona chocolate mousse topped with tangy cognac macerated red berries, lemon cream and crunchy hazelnut praline. 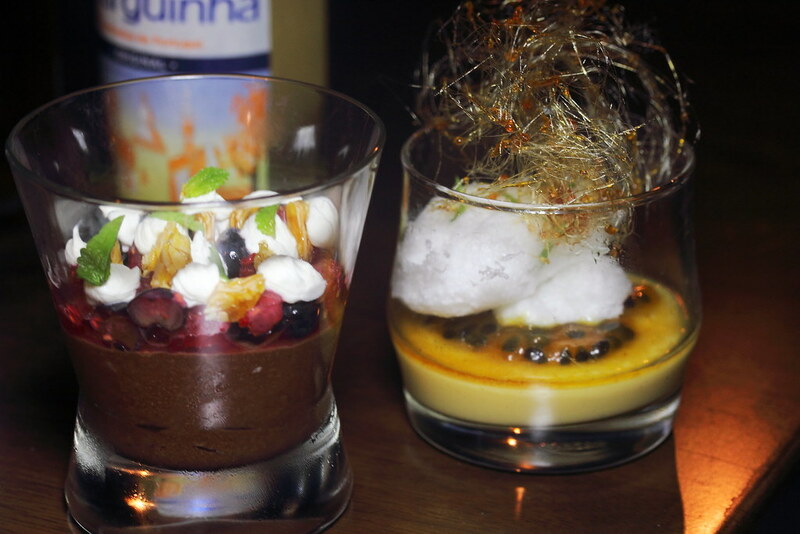 The Floating Island which I preferred among the two, is a slightly sweetened vanilla custard dusted with cinnamon, layered with passion fruit coulis, fragrant shredded basil, egg white quenelle and crowned with a sugar nest. 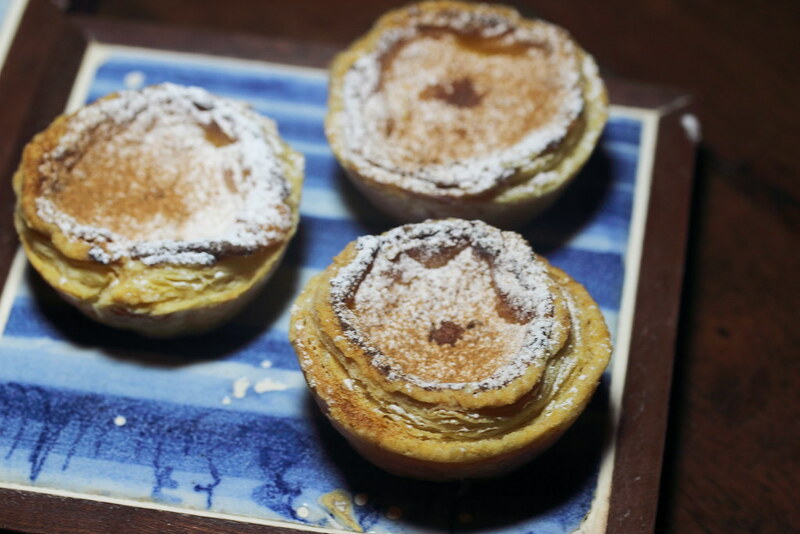 Only twenty pieces is made each day is the Authentic Portuguese Egg Tarts ($4.50/pc). The creamy caramel egg custard together with the flaky puff pastry, dusted with cinnamon and icing sugar is the surprise highlight of the night. This is one of the best egg tarts I have eaten so far. I only wish they can make more and I can takeaway these beautiful delights to share with my friends. Overall I have enjoyed my first experience of authentic Portuguese food. Some of the items really surprised me with the used ingredients and how they are put together. In a way, I have never tried anything similar until now. I strongly recommend trying the shrimp porridge, egg tart, braz codfish and coffee steak.